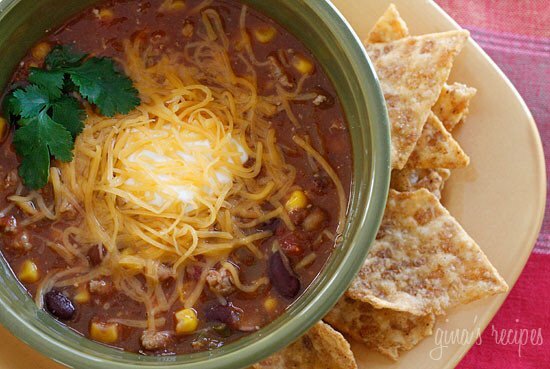 These warming chili recipes are perfect for football season or feeding a crowd. Plus, leftovers are great for lunch and freezer meals. Fall is coming, the weather is starting to change which means chili season is coming! Here are fifteen different ways to make chili, something for everyone! 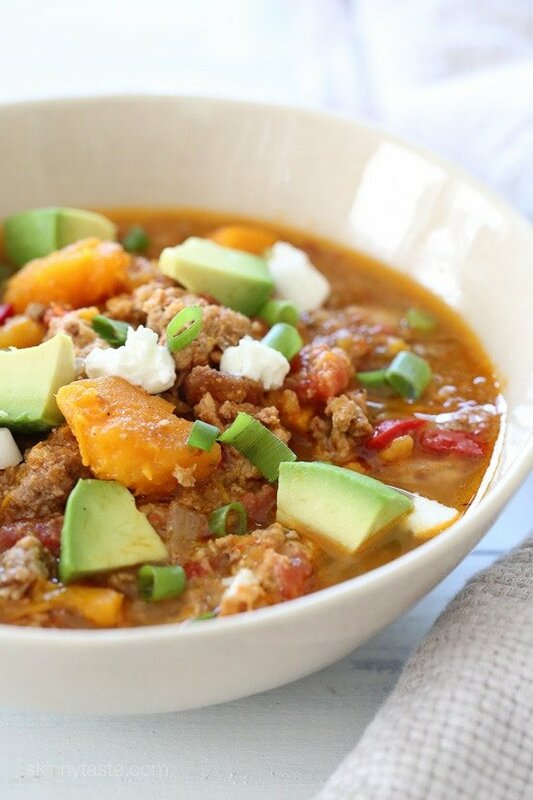 No Bean Turkey and Sweet Potato Chili is one of my favorite chili recipes. 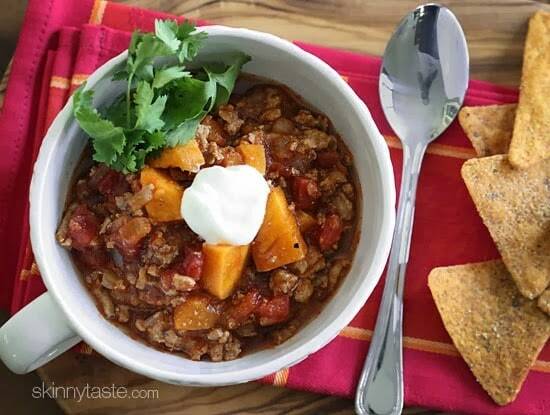 It’s a quick and easy chili made with ground turkey, sweet potatoes and spices – the perfect weeknight meal. It has just the right amount of spice to compliment the sweet potatoes without being too spicy for those of you who prefer a milder chili. Don’t worry…you can always bump up the heat if you like your chili spicy. 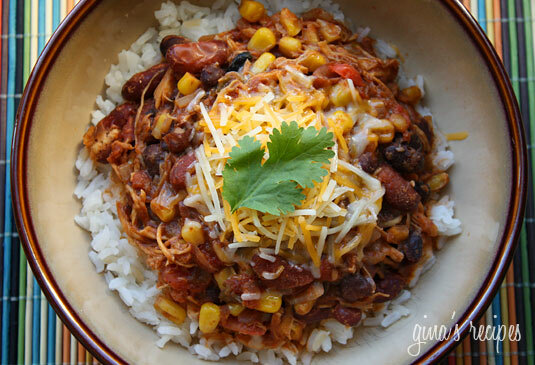 BBQ Chicken Chili is a delicious twist on traditional chili – shredded chicken, beans and BBQ sauce are simmered in one big pot which has just a touch of sweetness that makes this meal delicious! 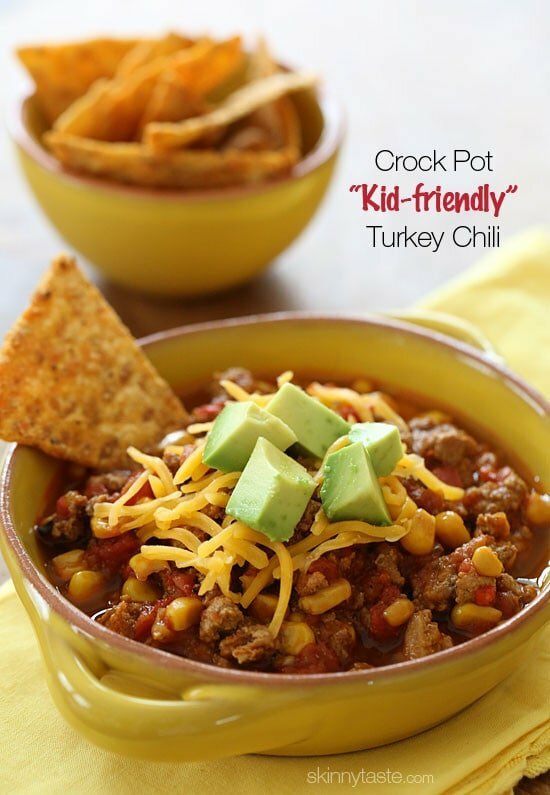 Crock Pot Kid Friendly Turkey Chili is a mild, kid-friendly chili made with ground turkey, corn, bell pepper, tomatoes and spices. Top it with your favorite toppings, and serve it with some chips on the side for the perfect, back to school lunch. Buffalo Chicken and Bean Chili is ready in about 40 minutes. I like to serve mine with a handful of chips like Beanitos which are made from white beans, but any baked chip is great and of course, some carrot sticks and celery on the side. 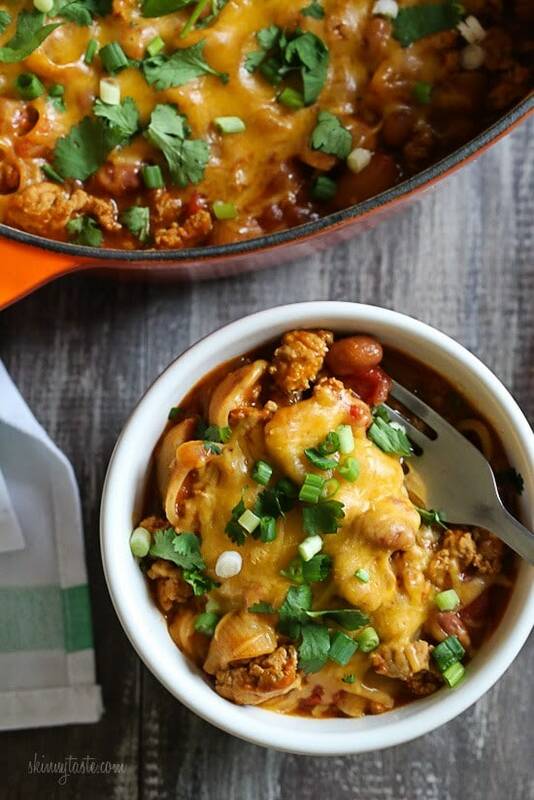 One Pot Cheesy Turkey Taco Chili Mac is pure comfort in a bowl and it’s packed with protein and fiber so it fills you up. Crock Pot Chicken Taco Chili is easy to make and it’s great over rice, with multi-grain chips, topped with reduced fat cheddar cheese or avocados. 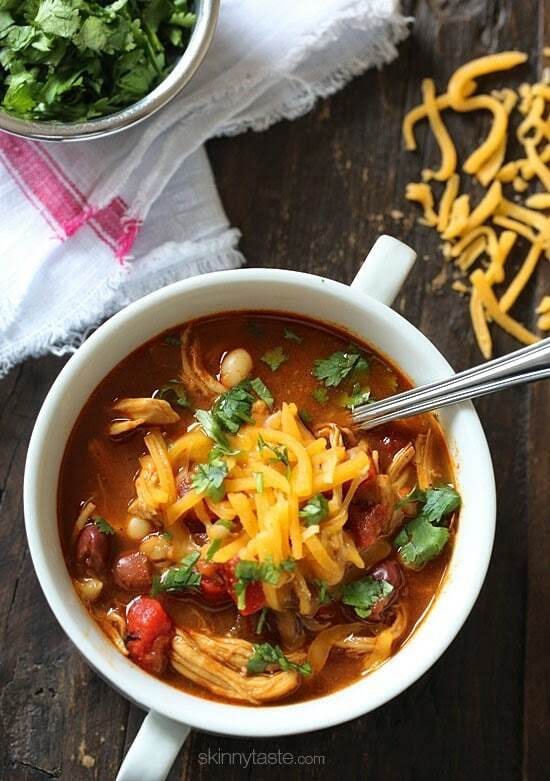 This chili makes a lot and it is even better the next day for lunch! It’s also a great freezer-friendly meal. Crock Pot Turkey White Bean Pumpkin Chili is made with pumpkin puree, ground turkey, white beans, green chili and spices. 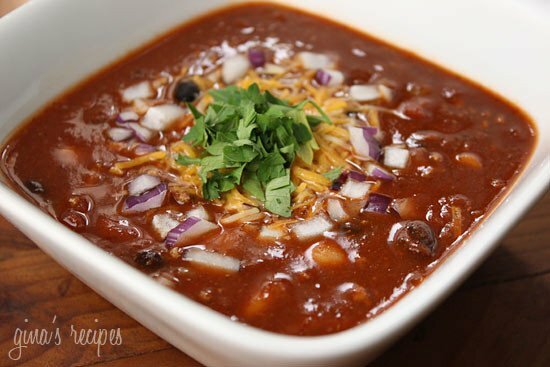 Top this delicious chili with chopped fresh cilantro, scallions, jalapeños, light sour cream, and/or reduced fat cheddar and serve it with baked chips on the side for a wonderful lunch or dinner. 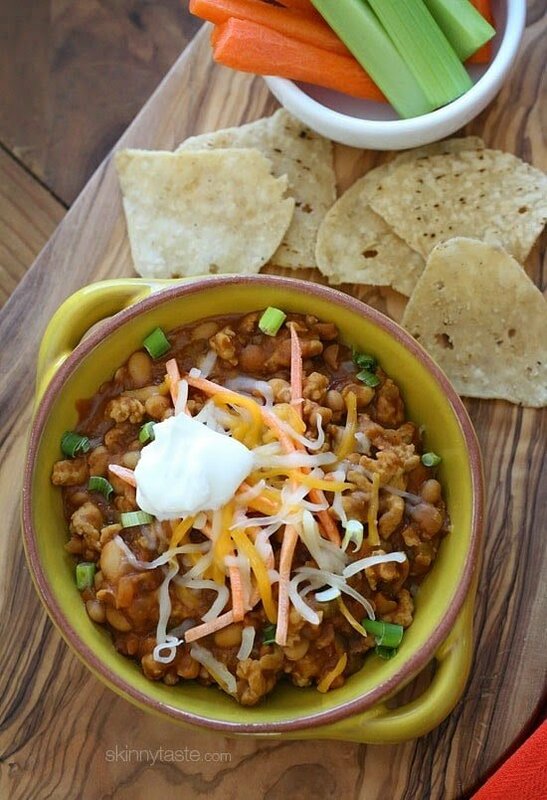 Crock Pot Three Bean Turkey Chili can easily be made vegan by eliminating the turkey. Prepare this the night before and turn it on in the morning and you’ll have a great meal when you get home from work or a busy day of running errands. 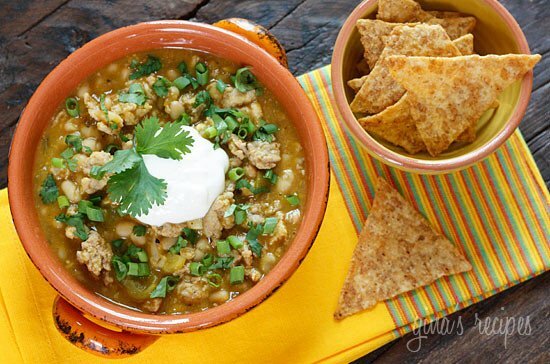 Turkey Chili Taco Soup is perfect when you need a quick meal. It’s super easy to make and is ready in less than 20 minutes. 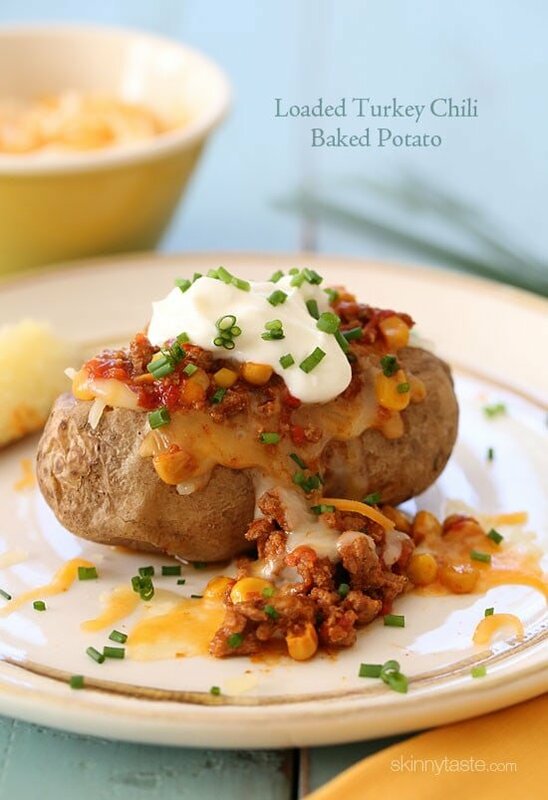 Loaded Turkey Chili Baked Potato is stuffed with lean turkey chili, reduced fat shredded cheese and topped with some fresh chives – a quick, easy weeknight meal. 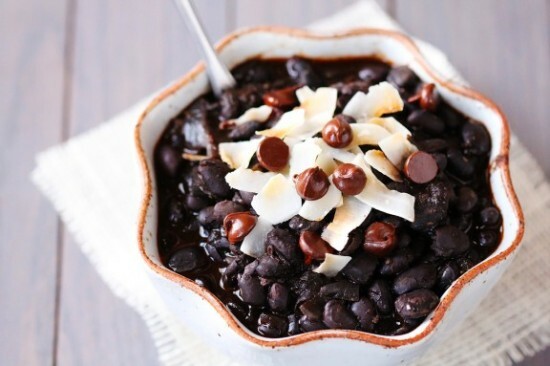 Black Bean Chili with Chocolate and Coconut from Gimme Some Oven is a smoky black bean vegetarian (or vegan) chili, accented with sweet chocolate and coconut! 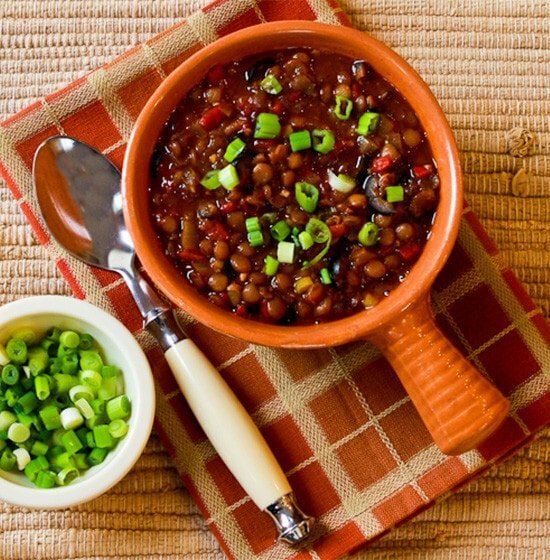 Vegan Lentil Chili with Roasted Red Peppers, Olives and Green Onion from Kalyn’s Kitchen has both brown and red lentils, and it’s loaded with flavor. Vegetarian Zucchini Corn Chili recipe from The Reluctant Entertainer is a one-pot vegetarian dish that is quick, easy to serve, and hearty – especially when you can add a salad and a big crunchy loaf of bread. Vegetarian Quinoa Chili from Two Peas and Their Pod is a hearty chili made with beans, vegetables, and quinoa. 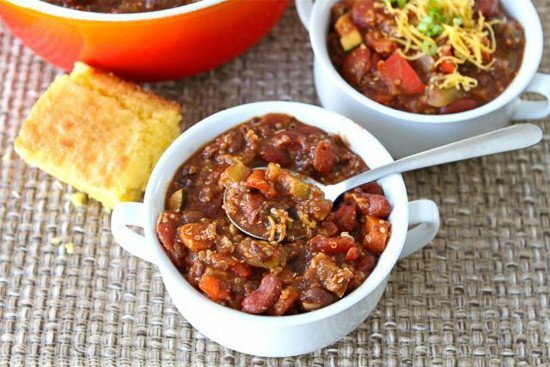 Meat lovers and vegetarians will love this chili! Wow…loves all of your recipe Gina! i love chili! Thanks so much for sharing it! You save my day! These chili recipes look fabulous. And the timing is excellent as I've been wanting to try out new fall food. Thanks for this roundup. Today's cool morning made me very, very happy to see this post! Loved the pumpkin chili and the buffalo chicken one, can't wait to get those back in the rotation! Thanks Gina! I'm starting to get in the mood for this kind of food and these all look so good! 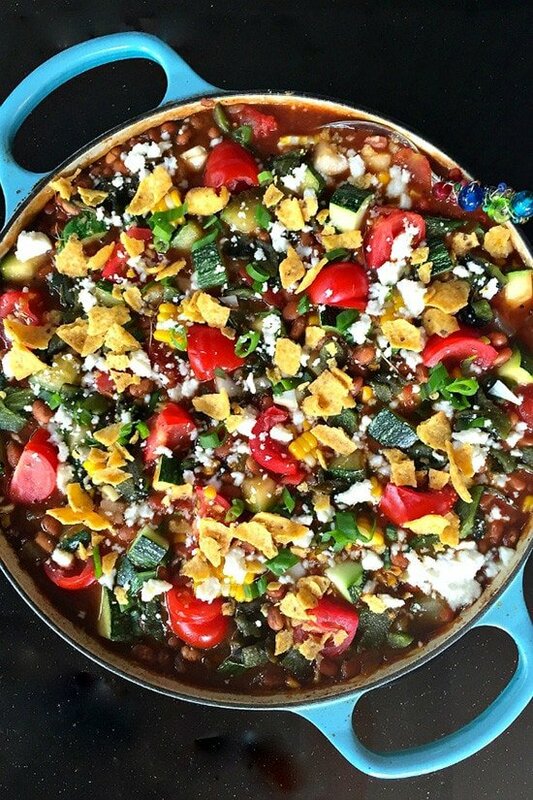 Thanks for the shout-out for my vegan lentil chili; love the green olives in that. You got some great ideas. Thank you. Healthy and delicious recipe is a perfect combination. Thanks Jane, so happy to hear that!!! Can't wait for chili weather to get here. My plan is to try one of these each week. I pinned this so I can look over them later. So many great ideas for the fall. I couldn't get that link to work either and I agree, white bean and pumpkin sounds amazing! I couldn't get the link to the White Bean Pumpkin Chili to work 🙁 it sounds absolutely DELISH!!! I googled the recipe. Sorry if the link doesn't work. Thanks for letting me know, it's fixed!